If you are in need of a custom certified control system or control panel, you’ve found the right place! Our highly experienced panel shop professionals are happy to provide you with high quality service you can trust. With our proven track record you can be sure that your project will be done accurately, to the highest industry standards, and in a timely fashion. We are experts in design and assembly and integration of all sorts of electrical panels including PLC, DCS, Variable Frequency Drives, HVAC Control, SCADA Systems, Operator Consoles, Push Button Stations, Heat Trace Control, and much more! With our new steel fabrication facility KJ has expanded it’s custom manufacturing capabilities. Whether you are looking for a custom fabricated control panel, custom back panel inserts, or fully certified electrical kiosks, we are up for the challenge. Canadian Industries’ Electrical Supply Choice. KJ Is Western Canada’s largest surplus Allen Bradley dealer, serving many industries and supplying quality product throughout Canada and all of North America. 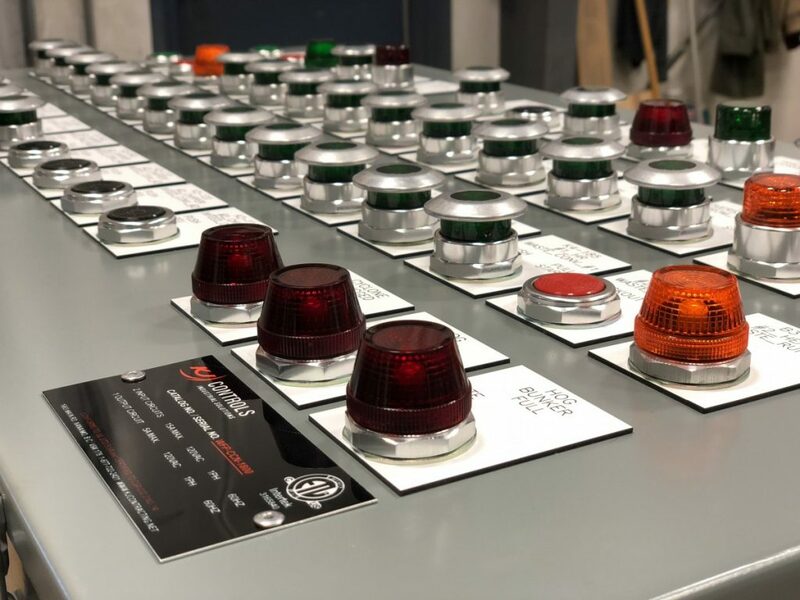 We’ve supplied over 100 MCC sections to food industry in Manitoba, PLCs and electronic components to breweries and bottling facilities in Creston and Richmond BC, PLC control systems to Utah and Missouri, motor control cabinets to Africa and Mexico, and everything in between. We’ve also developed close relationships with several engineering firms as panel fabricators and as a source of quality refurbished motor control centres. Questions about your specific panel building needs? Send us an email or give us a call, we’d love to chat about what we can do to help. Our qualified staff will help out in any way they can!